With a grant of $225,000 from the National Endowment for the Humanities, the Center for Documentary Studies at Duke University (CDS) and other Duke partners will build on their multi-year collaboration with the SNCC Legacy Project (SLP) to re-examine the history of voting rights, and its lessons for strengthening American democracy from the ground up. The NEH grant will fund a groundbreaking series of “critical oral history” (COH) sessions in the summer of 2018 that will illuminate the work directly leading to the Voting Rights Act of 1965, legislation that after 200 two hundred years finally allowed the nation to live up to its promise of “one person, one vote.” The COH participants will include veterans of the Student Nonviolent Coordinating Committee (SNCC) and other civil rights organizations; historians; participants in the Mississippi movement for voting rights; persons knowledgeable about the Federal federal response; representatives of the early 1960s national press; and representatives of conservative and liberal organizations that either tried to impede or advance grassroots organizing in the African American communities of Mississippi and elsewhere in the South. The critical oral histories represent a new methodology in the field, says CDS director Wesley Hogan, a civil rights scholar and oral historian. “Typically, the interviewee is simply asked to recount her or his experience by an interviewer who may not have done extensive prior research. 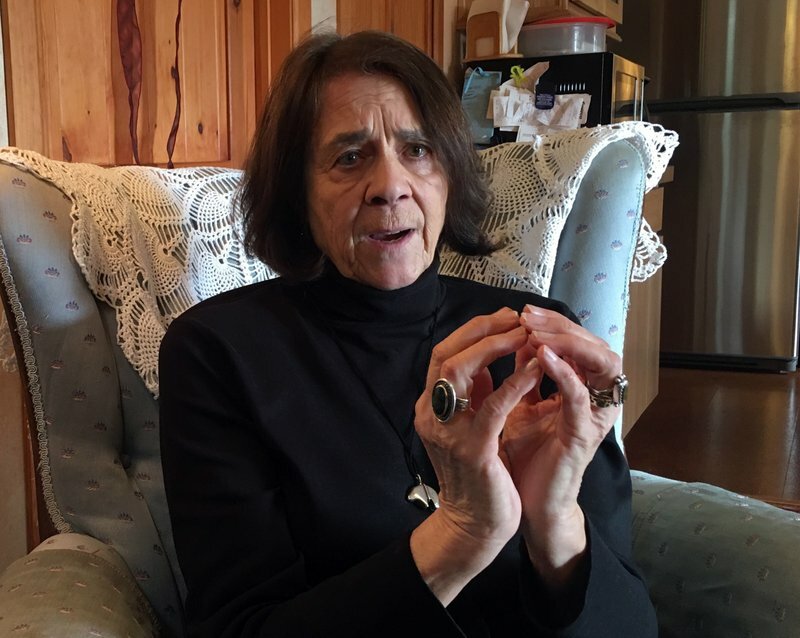 Using critical oral histories, the questions and answers are much more precise and can spark a fresh approach to issues where there’s confusion or disagreement about how the work of the civil rights movement was done,” says Hogan. Courtland Cox, board chair of the SLP, explains: “The critical oral history method, brought to this collaboration by SLP Board board members professor Geri Augusto and author and former professor Charlie Cobb, are conversations between 1960s veterans of the Mississippi Movement movement and historians who are knowledgeable about the actions of the civil rights veterans or the resistance movement in Mississippi.” The COH sessions will also include “adjacent actors” who had an impact on the times and places where civil rights activists were most involved. A full documentary record of the period being discussed will be assembled to help refresh the recollections of the participants. Following completion of these COH sessions, a grant-funded book of essays will draw on the interviews to offer fresh perspectives. A collaborative research team will incorporate the new insights into the book’s overview of how the Voting Rights Act of 1965 came to be, one that illustrates the civil rights era as “a continuation of the ongoing struggle by African Americans to convey to each new generation a commitment to resist an unequal status quo,” says Cox. Collectively, these projects expand on a unique collaboration between civil rights veterans of the SNCC Legacy Project (SLP) and Duke University, represented by the Center for Documentary Studies and Duke University Libraries. Since 2013, the partnership has strived to build a more thorough and accurate archival history of civil rights activism during the 1960s. With partial funding from the Andrew W. Mellon Foundation, the SLP-Duke partnership built on the success of a pilot phase to create the SNCC Digital Gateway. The online reference and portal to digitized materials makes SNCC’s informational wealth widely available to current and future generations. A Mellon grant also helped implement the innovative critical oral histories methodology; the first series of conversations, conducted in the summer of 2016, are available on the website. “Our wish for the project overall is to offer hope, inspiration, and concrete examples for people going forward—a model of how social evolution happens, and how citizens can participate in a democracy as part of their day-to-day lives,” says Hogan. 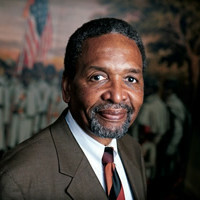 Dr. Frank Smith, founding director of theAfrican American Civil War Memorial and Museum and former City Council Member for Ward 1. Join your friends and colleagues as we award the fourth annual Visionary Historian Award, presented to an individual whose work represents the highest achievement in the study of Washington, D.C. and related history. Dr. Smith joins previous recipients Kathryn Schneider Smith, Dr. James M. Goode, and Lonnie Bunch III. ALBUQUERQUE, N.M. (AP) — Mexican-American photographer Maria Varela was present at some of the most dramatic moments of the Civil Rights Movement, capturing images of voting rights demonstrations in Alabama and efforts to create Head Start programs in poor, rural areas. As one of the few Latinas involved in the black Civil Rights Movement, historians say, her work has often been overlooked. Now the National Museum of Mexican Art in Chicago is set to feature 28 images from the Albuquerque resident's rarely seen photography of the movement at an exhibition called "Time to Get Ready: Fotographía Social." "You can tell she wasn't just someone who dropped in and photographed what happened. She was part of what was happening," said Cesareo Moreno, the museum's visual arts director. Moreno said the exhibit will cover Varela's work from Mississippi marches and voting rights battles to photographs she took of Chicano activists fighting to get Spanish land grants recognized in New Mexico. In 1963, the Chicago-raised Varela was recruited by the Student Nonviolent Coordinating Committee, a key organization in the movement, to work in Selma, Alabama, for a voter literacy program. A local sheriff arrested its staff and broke up the program. Varela was then reassigned to Mississippi where organizers told her to develop training materials. After training with noted photographer Matt Herron in New Orleans, Varela grabbed a camera and built her own dark room in Mississippi since local drug stores likely would refuse to develop her film. She dressed in a skirt and a head scarf and tried to remain invisible while she took photos. The images she captured were meant to be part of informative booklets passed out to farmers, town residents and parents who were working to resist segregation and poverty. She created pamphlets to train activists to build political campaigns and develop farming co-ops. Her photos illustrated an autobiography of civil rights activist Fannie Lou Hamer. "A lot of times I wasn't thinking. I was just shooting," she said. "Other times, I was zeroing in on strong faces ... people with determined expressions." As news of her work spread, SNCC assigned Varela to various marches and demonstration. Organizers felt law enforcement officers would be less likely to beat protesters if there were more cameras, Varela said. One of her assignments was to capture images of the 1966 "March against Fear" in Mississippi, an event created by activist James Meredith to encourage blacks to register to vote. But Meredith was gunned down by a sniper on the second day of the march. That prompted SNCC and Dr. Martin Luther King Jr.'s Southern Christian Leadership Conference to join and continue the march. It was during this event that historians believe Stokely Carmichael shouted the phrase "black power." Though Varela rarely took photos of the famous civil rights leaders like King, she noticed King, Carmichael and Andrew Young leading the crowd. The three leaders weren't smiling. "They clearly looked burdened. They looked thoughtful and pensive," she said. So, she snapped the shot. Less than two years later, King was dead. Varela would photograph Cesar Chavez and the United Farm Workers, New Mexico land grant leader Reies Lopez Tijerina and the organizing meetings leading to the 1968 Poor People's Campaign, a march King planned to draw attention to poverty. Brian Behnken, a history and Latino studies professor at Iowa State University, said historians likely had a problem placing Varela in the context of the Civil Rights Movement because she was a Mexican-American documenting conflict between whites and blacks. "It has taken a while, but I think she's being appreciated more now," Behnken said. "She was way ahead of her time." Moreno said artists today can learn from Varela and how she used her photography to tell stories of people often overlooked. "She was literally walking along history," Moreno said. "And her work is tender and honest." The exhibit will run March 3 to July 30 at the National Museum of Mexican Art in Chicago. CAMBRIDGE, MD — Lt. Gov. Boyd Rutherford celebrated Black History Month in Cambridge Saturday, and presented a proclamation to civil rights leader Gloria Richardson, declaring Feb. 11 Gloria Richardson Day in Maryland. Richardson, 94, a Cambridge native, now lives in New York and was unable to attend the ceremony at Bethel African Methodist Episcopal Church in person due to a snowstorm. The snow did not stop Richardson from being part of the ceremony as Rutherford was able to present the proclamation from Gov. Larry Hogan to her in front of a large-screen TV via Skype. She is credited with leading civil rights demonstrations in Cambridge during the 1960s with a nonviolent approach, focusing on public accommodations and continuing the cause with other activists in the Cambridge Nonviolent Action Committee when segregation remained in the city. Richardson thanked the standing-room only crowd at the church. Richardson also thanked all the people who joined her during the civil rights protests back in the 1960s. She said none of the changes today would have been possible without people coming together back then. “We are working from your platform,” said Cambridge native and Eastern Shore Network for Change co-founder Dion Banks. Rutherford’s visit to Cambridge also marked the Black History Month event “Reflections on Pine Street: Cambridge Commemorates the Civil Rights Movement, Community and Change,” which marked the 50th anniversary of the 1967 race riots that occurred in Cambridge and the subsequent burning of the elementary school and other dwellings on Pine Street. The event coincides with the upcoming July celebration “50 Years After the Fire: A Commemoration of Our History,” a commemoration of summer 1967 and the fire on Pine Street. July’s celebration will be hosted by Eastern Shore Network for Change, which also organized Saturday’s Black History Month event. Local and state dignitaries joined Rutherford for the service, including Cambridge Mayor Victoria-Jackson-Stanley, who was a child during the 1960s civil rights movement in Cambridge. She later became the first woman and African-American to become mayor in Cambridge. She thanked Richardson for being an inspiration to her when she was a child. “A young girl, looking up at this tall, beautiful woman more than 50 years ago, was part of the civil rights movement,” she said. “I saw her and said, ‘Wow, that is a beautiful woman.’ I just followed her and listened. I marveled at the power of this woman. “As a young child, I didn’t get the significance of that at the time, but now I know what I was looking at,” she said. “I offered my personal congratulations to Gloria Richardson. (She) is a woman who taught us to stand up and affirm for what we know is right. To love others as God loves us. Dorchester County will realize its own dream in March with the grand opening of the Harriet Tubman Underground Railroad State Park and Visitor Center. The state park and visitor center is located at 4068 Golden Hill Road in Church Creek near Blackwater National Wildlife Refuge. Tubman was born in Dorchester County and lived here as a slave until she was nearly 30 years old. She escaped slavery in 1849 yet risked her life to return to the Eastern Shore many times to help others in their journey to freedom. She helped about 70 slaves escape and led them north. Some went as far north as Canada. Eastern Shore Network for Change’s “50 Years After the Fire: A Commemoration of Our History” series will be held July 21 to 24. The weekend will feature walking tours, art exhibits, book readings, a gala dinner, prayer breakfast and more. For more information about the organization, visit it on Facebook and its website, www.esnccambridgemd.com/50th-anniversary-civil-rights. The first two weeks of Donald Trump’s presidency sent one resounding message to all of us—multi-racial, multi-class people of vibrant ethnic, racial, faith and gender identities, people with disabilities, LGBTQ communities, and immigrants and refugees. He and his advisors do not value our bodies, lives, families, livelihoods, communities, aspirations and dreams. Trump plans to use the federal government to increase the criminalization of communities of color. His executive orders attack our collective safety with the construction of pipelines on indigenous lands and walls between nations, the suspension of refugee programs, the bans on entry of individuals from Muslim-majority countries, the punishment of sanctuary cities, and the elimination of programs that protect undocumented immigrants. His call for federal law enforcement in Chicago’s Black neighborhoods is another way to target communities of color through a hateful campaign. It is clear that this administration’s rhetoric and policies serve only to criminalize and dehumanize large segments of our country, and will inevitably embolden others to target our communities for hate violence, discrimination, bullying, and harassment. We reject this. We condemn this. We resist this. We reject the outright criminalization and dehumanization of large segments of the American population. We condemn the racial hatred implicit in the policies of the Trump Administration. We resist these attempts to control and constrain the liberties and freedoms of our communities. Black, Brown, indigenous, Asian American and Pacific Islander, LGBTQ, and faith communities have endured - and continue to experience - the effects of enslavement, genocide, internment, surveillance, xenophobia, religious bigotry, homophobia, sexism, systemic racism, and Islamophobia. We know from our own collective histories that solidarity and resistance movements can and will change the direction of our nation. We have more in common than not, and we refuse to let the politics of fear and divisiveness prevail. Instead, we stand together as a united front against any policies rooted in fear, racial and religious bigotry, xenophobia, and hate. Last of all, we ask you to make a choice. To raise your voice. To give your time. To organize for a peaceful and inclusive society. And to stand united together with each other and with us in true solidarity. SNCC Digital Gateway: Learn from the Past, Organize for the Future, Make Democracy Work. Knoxville civil-rights leader Avon Rollins Sr., who joined the movement as a high school student and became one of the charter members of the Student Nonviolent Coordinating Committee, died yesterday. Rollins became active in civil rights as a student at the former Austin High School and worked for more than half a century to improve lives for blacks and other minorities. He was honored last year at age 73 with the naming of the Avon W. Rollins Sr. Overpass on Cherry Street in East Knoxville below the Interstate 40 bridge. A wing of the Beck Cultural Exchange Center is also named for him. "His life was filled with the leaders of the civil rights movement," said his wife, Sheryl Rollins, on Thursday. "He’s the kind of person who wanted you to be bigger than yourself when it comes to civil rights." Former Knox County Commissioner Sam McKenzie, who went to high school with Rollins' son, remembered growing up calling him "Mr. Rollins." McKenzie later worked alongside Rollins on projects to help highlight the many cultures of the region. "In East Tennessee, we sometimes get branded as a monocultural area," McKenzie said, "and (Rollins) really lent a voice to say that East Tennessee is a great place for all people. And that's a voice that I think will be missed." McKenzie worked to help get funding for the Beck Center, which Rollins headed for years. McKenzie said Rollins was a Knoxville connection to the civil Rights movement who reached beyond a textbook. "Knoxville is a better place because of his knowledge and willingness to tell the story," McKenzie said. Rollins was a co-founder of the Student Non-Violent Coordinating Committee, and served as administrator at the Beck Cultural Exchange Center after a career at the Tennessee Valley Authority. Hubert Smith, a local radio show host and community advocate, said he and Rollins developed a friendship through the years and ate lunch together monthly. "When I think of Avon, I think of Avon and that famous picture of him lying in front of the Tennessee Theatre (in 1963) protesting segregation," Smith said. Local politicians also voiced their sympathies. "Avon Rollins was a great champion for civil rights, in Knoxville and nationally," she said. "Avon believed strongly in preserving and interpreting African-American history and culture, and he was a guiding force at the Beck Cultural Exchange Center for decades. State Rep.-elect Rick Staples, D-Knoxville, said Rollins "walked the walk." He said he recalled being a boy in the 1970s, seeing Rollins at work. Miss Ella Baker (far right). It is said that the Chinese word for "crisis" is a combination of two characters: one representing danger the other representing opportunity. The election of Donald Trump as the 45th President of the United States certainly represents danger, especially to African Americans, Hispanics, members of the LGBTQ community, Muslims, Jews, women, and for everyone who is poor. This is why he was rejected by a majority of the voters who cast ballots in this past presidential election. However, given the Electoral College system, he is president-elect now and it is important that we do not become paralyzed or overwhelmed and sink into despair. There is also great opportunity to organize and take advantage of America's great diversity, making it a liberated and safer country for all of its people. Fear was at the heart of Donald Trump's campaign. He successfully exploited the fear and anger that many white Americans feel over changes, both demographic and cultural, that seemed threatening to a way of life they expected to last forever. He used fear to fan hysteria that Mexicans, other Hispanics, Black people and nonwhite people in general are subverting American values and undermining the nation's "greatness." He coupled fear to his most blatant lie: that he was a man of the people willing and prepared to take on the moneyed interests that sent jobs overseas causing lost jobs and income here at home. He also used the ongoing conflict in the Middle East and hyperbole about Islamic terrorism to create great fear of Muslims (and now as his administration comes in, discussion of internment camps for Muslims has begun.) Trump also used similar hyperbole about Black communities to create fear in white America about crime and their safety. Donald Trump's slogan, "Make America Great Again" especially sold hope to white male America that people of color would not be political or economic players of any significance; that women would return to the kitchen, gay people would remain in the closet, and that immigrants would come mostly from Europe. He breathed new life into the Ku Klux Klan. So now, what is to be done? Thousands of people across the country have taken to the streets to display their anger and frustration at the temperament, the policies and the pronouncements of Donald Trump. While all of this is understandable and important, we must now turn our attention to the kind of organizing that will put forward policies and people at the local, state and national levels to make sure that America represents all of its people. We can do this. Hillary Clinton received 7 million fewer votes than Barack Obama in the 2012 election. Aside from low turnout, Clinton's poor campaigning and alienation were undoubtedly important parts of the reason for this loss. Now we see media falsely steering post-election analysis into discussion of how to reach the white working class male as if that is where her failure lay. So part of what is needed are efforts to turn the discussion toward the real issues of democracy that have largely been obscured and avoided. Topping this discussion is surely the issue of economic justice, an issue to which Secretary Clinton offered nothing new. Our main point here, however, is that there is work to be done over the next two years-between now and the mid-term elections-that will shape the Congress, and local and state offices. Indeed, in the final analysis, when we talk about what impacts our lives day-to-day, it is the kind of decision-making at this level that most immediately affects us. Legislators at the state level, for example, drive voter suppression. Police violence, to give another example, will not be contained until we who are most affected by it gain the levers of power to restrain and end it. And, at a higher level, we have the numbers to end Republican control of the Congress and to put fear into those who do manage to retain their seats. The energy we see on the streets in protest can be most effectively used at the grassroots in the kind of day-to-day organizing that uproots the old order in cities, counties and parishes. This is difficult but necessary work. Anger is understandable but not sufficient to generate the kinds of changes that are needed; or to mobilize the kind of effort that is needed now. We want to repeat and emphasize what we think is urgently needed: hard, diligent grassroots work; the kind of organizing that will put forward policies and people at the local, state and national levels to make sure that America represents all of its people-the kind of deep community organizing that we of SNCC and the Freedom Movement engaged in to defeat Jim Crow segregation and win voting rights for people of color across the nation. We can change state legislatures, and city councils, and congressional seats. We acknowledge that this will not resolve every issue confronting us. And the very large question of how best to hold accountable people we put into office through our work, remains. But we can put fear into the minds of those like Trump and his cohorts who think they have been mandated to start this country down a road leading to what amounts to fascism. A growing chorus of conservative voices has been proclaiming that the #BlackLivesMatter Movement is a terrorist group. These voices also claim that the very declaration that Black lives matter is racist, because all lives matter. This is deliberate, cynical deception. Indeed, it is both ignorant and malicious to insist that this generation should not cry out against unjust Black murders unless and until ‘all’ murders have been eliminated. Fortunately, today, as in the past, the protestors who have taken to the streets against police violence will not be intimidated by slander or mischaracterization as “racist” or “terrorist sympathizers” born of the fear, ignorance and malice of their would-be critics. The interracial shoulder-to-shoulder bond of #BlackLivesMatter demonstrators belies the hypocrisy of such would-be detractors. The reason for today’s powerful and persistent insistence that Black lives matter comes from the irrefutable evidence throughout American history that Black lives have never mattered. The Black lives that were enslaved for 250 years never much mattered beyond the kind of economic concern held for livestock. The Black lives that suffered a hundred years of brutal segregation and discrimination following slavery’s abolition never mattered until Black people themselves raised their voices loudly in demand and battered down the walls denying their humanity. We in the Student Nonviolent Coordinating Committee (SNCC) were part of that long struggle in the 1960s. We were met with harassment and resistance that included murder and other forms of violence. The voices of white supremacy insisted that Black lives were not human lives and any claim to human rights was subversive and threatening to the country. With their protests and demands, the #BlackLivesMatter Movement is continuing to exercise their rights guaranteed to all Americans under the First Amendment of the United States Constitution. We, the radicals who were SNCC, salute today’s #BlackLivesMatter Movement for taking hold of the torch to help light this truth for a forgetful world! So, as Willie “The Lion” Smith, Ma Rainey, and Bessie Smith used to say when they yielded the stage to the then-younger Muddy Waters, Lionel Hampton, Billie Holiday, and Louie Armstrong, after having played and sung themselves out by one or two o’clock in the morning on Beale Street, Rampart and Basin Streets, we of yesterday’s SNCC say to today’s #BlackLivesMatter, “Y’all take it from here! But, you know all the while, we still be humming with you in the background”…and sometimes while we walk beside you. The Fannie Lou Hamer institute @ COFO is planning to commemorate the 50th anniversary of the Meredith March Against Fear and its role in the civil rights movement and the memorable call for Black Power. Through a series of conversations, intergenerational dialogue, and presentations, the purpose of this commemoration is to recognize the bravery and accomplishments of those men and women who were part of the journey in spite of jeopardizing their lives and jobs. Organizing Partners include Tougaloo College and The Veterans of the Mississippi Civil Rights Movement​. Washington, DC Coming in July 2016. The March on Washington Film Festival will kick off the 2016 festival at the historic Metropolitan A.M.E. Church with a unique and memorable event, featuring a dialogue and performance by Dr. Bernice Johnson Reagon, recording artist Toshi Reagon, and surviving members of the original Freedom Singers. This event will be moderated by award-winning radio producer and host, Jacquie Gales Webb, and will include a Community Sing led by Ysaye Barnwell. During the civil rights movement of the 1960s, there was no doubt which was the most violent, repressive Southern state. Mississippi was the keystone of white supremacy. Robert Moses, leader of the voting rights movement in the state, dubbed it "the middle of the iceberg." Even as the movement scored victories in Nashville, Birmingham, and other adjoining areas, Mississippi wouldn't budge. Politicians, law enforcement, and mob terrorists were in league. All movement activity — mass demonstration, voter registration — ended the same way: in beatings and incarceration. In such a setting, Moses and his colleagues appeared to have two options: quit altogether or go to jail and stay there, possibly becoming a galvanizing symbol in the form of a Nelson Mandela — but possibly not. Somehow, though, Moses found a third choice. He devised a mode of action that would escape notice of the Ku Klux Klan and police yet still initiate Mississippi's black citizenry in the process of voting. That unlikely and miraculous story is subject of Laura Visser-Maessen's new book, "Robert Parris Moses: A Life in Civil Rights and Leadership at the Grassroots." Many books have been published on the movement in recent years, as America observed the 50th anniversary of events like the March on Washington. But a biography of Moses may be the most tantalizing of any. Introspective and learned — before joining the movement he studied philosophy at Harvard — Moses is also elusive, generally unwilling to share the particulars of his life. For Moses, the best organizers are invisible; rather than imposing their own views or personalities, they strive to encourage the emergence of new leaders. The problem with becoming an object of study or veneration is that others will defer to him and miss their own potential. Yet as he evades scrutiny, our curiosity or fascination increases, and by now Moses is nearly as mythical a figure as Martin Luther King, Jr. A biography, then, promises to grant what so many historians and activists have longed for: a measure of intimacy with the man, a parsing of the myth to locate Moses on some relative human scale. Visser-Maessen's book does not quite do that. Its title aside, the work may be considered an anti-life. There were predictable problems with access. The author was granted just one interview and a sporadic fact-checking correspondence. The frame is top-heavy: Presently 81 years old, Moses is still 31 when we reach the book's epilogue. Virtually the entire text is devoted to a six-year span, from 1960 to 1965. In truth, her main concern is not Moses but the ways in which his ideals rubbed up against the fact of his own talent. "Moses," she writes, "constantly struggled with the realization that the special qualities he brought to the practice of organizing provided him with the conventional power he sought to avoid." Moses, in short, was too deft of an organizer to remain invisible. Practically in spite of himself, he shaped the Southern freedom struggle in his image. Raised in Harlem, Moses did not spend any time in the Deep South until the summer of 1960, when he left on a recruiting trip for the Student Nonviolent Coordinating Committee (SNCC). No one in the SNCC wanted to go to Mississippi, where — if permitted to register — blacks would comprise close to half the state's electorate. Moses began canvassing there the following year, holding voter registration classes in a Masonic temple in McComb. "I didn't know enough to be afraid," he later confessed . Soon others joined him, for "if you can do it in Mississippi," as the saying went, "you can do it anywhere." But you couldn't do it — not in Mississippi. Intimidation was constant. A handful of Moses's allies were murdered. He was almost assassinated himself. It was not uncommon for SNCC offices to be firebombed and the activists jailed for arson. At the end of 1962 Moses confided, "We are powerless to register people in significant numbers anywhere in the state." Yet the harder Mississippi pushed, the more cunning he became. Throughout his tenure in the state, we watch him pursue strategies of greater and greater ingenuity. Finally he decides the movement should simply install its own political system. If Mississippi wouldn't allow blacks to vote, they would stage their own elections and demonstrate — contrary to the view of white supremacists — that African Americans were equipped to enter the political realm. For the most part, the organization of such elections could go on in secret, without arrest or retaliation. In November of 1963 a mock gubernatorial election was held. The movement nominated its own candidates and held its own convention. Eighty thousand votes were cast. A few months later the Mississippi Freedom Democratic Party — an alternative to the state's all-white Democratic party — was founded. The Mississippi Freedom Democratic Party caucused and held precinct meetings and even traveled to the 1964 Democratic National Convention, where it demanded its members be recognized as delegates. The bid failed, but the oppression in Mississippi was publicized to the rest of the nation. When the Voting Rights Act came down a year later, much of the state's black population was already educated in the ways of the ballot. "The MFDP," Visser-Maessen writes, "exemplified Moses's theory of parallel structures, that is, the concept of setting up institutions similar to those that excluded blacks but improving them." The party, she points out, was not the only parallel institution created. In 1964 the movement set up its own schools and community centers, offering health care and literacy training — a total social infrastructure, in other words. We are not as familiar with this history as we are with the grand marches that occurred in Birmingham and Selma at the same time, but we should be. Visser-Maessen's account is not the fullest or most candid portrait, yet it skillfully tracks the evolution of Moses's leadership, no matter how reluctantly he might have wielded it. Her book reminds us that in its most inspired moments the civil rights movement is not confined to the voicing of protest. It is something far greater: the means by which democracy is made visible. Benjamin Hedin is the author of "In Search of the Movement: The Struggle for Civil Rights Then and Now"
The Smithsonian today announced that the National Museum of African American History and Culture (NMAAHC) will open to the public on Saturday, September 24, 2016. The opening will be the focus of a week-long celebration that begins with a dedication ceremony on September 24th and will include extended visiting hours and a three-day festival on the National Mall showcasing popular music, literature, dance and film. Also planned are events co-hosted by other museums around the country and the world. There will be a memorial program in Tuskegee, Alabama for Sammy Younge, Jr. on Sunday, January 3, 2016, at 4pm, 50 years after his murder at the Tuskegee Bus Station. The location will be the First Tuskegee United Methodist Church, one of the churches that Sammy and the Tuskegee Institute Advancement League (TIAL) and SNCC attempted to integrate during the summer of 1965. The new pastor is Rev. Patsy Gibson, a young Black minister. The SNCC Legacy Project has published a pamphlet, "Preserving our History: What to do with your freedom movement papers". The content of the pamphlet is on this website under Preserving our History. This is to let you know that as a the follow-up to our 50th Anniversary Conference, and your feedback about needed actions for the future, a SNCC Legacy Project (SLP) has been established. The purpose of the SLP is to organize strategic programs and activities that address those critical issues identified in your responses to the post-conference survey conducted last summer. The Archival Committee, that will seek out and encourage the archiving of as many historic documents, photos, memorabilia and artifacts related to telling the story of SNCC and of the people associated with SNCC as possible. Our goal is to make them accessible for use by student activists, teachers, scholars, SNCC folks, the children, grandchildren of SNCC folks and the general public. Recognizing that many documents and memorabilia are scattered in a variety of places, including folks’ attics and basements, as well as museums, libraries or universities, the project will also mount a program to digitize these collections wherever they are found and make them accessible via a SNCC Legacy Project “Virtual Museum” that will be accessible through a variety of platforms that will enable individuals, institutions and organizations throughout the world to research our legacy. Julian Bond and Connie Curry are co-chairs. The New Works Committee, which is primarily concerned with encouraging and assisting SNCC veterans and others to produce new works about the movement, working individually or through a program utilizing the critical oral history format for illuminating ideas and themes that define SNCC and its work. This committee will also develop a more traditional oral history project to collect SNCC history. Additionally, the group will explore the prospect of “visiting scholars” and “visiting professorships” at colleges and universities being offered to SNCC veterans whose thinking are essential to any real understanding of the movement but who are not usually considered to be academics or scholars. Charlie Cobb and Geri Augusto are co-chairs. The Fundraising Committee which is responsible for seeking financial support to enable these programs and activities of the SLP to go forward. We are seeking support from public and private sources including foundations, institutions, non-profits as well as individual donations. other budget off-setting sources that will support the programs and mission of the SNCC Legacy Project. Joyce Ladner is the Chair of the Fundraising Committee.